The POV Dispatch is our monthly internal newsletter where we discuss the big ideas that are important to Autodesk and our customers. The upcoming February issue is related to branding, and how a brand is more than just a logo -- it's sum of all of the experiences of our customers. In my review of high-tech, high-touch customer service by Micah Solomon for this blog, I created some index-card-like graphics inspired by Jessica Hagy's Indexed blog. In my submission for the POV Dispatch, I wanted to share with Autodesk employees what I learned that we can all use in our interactions with customers. Here is what I submitted. Autodesk certainly has its share of critics in the world. Respond to negative comments quickly. Reflect on the big picture and think long-term before providing any knee-jerk responses. Move the follow-up discussion from being public (e.g., Facebook, Twitter, forums) to private (e.g. email, text message) when possible. Consider getting the complainer on the telephone (with permission) even if the relationship started in social media land. Use social media and personal email to make customers feel important. If customers follow you on Twitter, like your company on Facebook, add you to a circle on Google+, or do the equivalent in another forum, thank them. If customers say something nice about you online, thank them for that publicly and privately. Use Twitter, Facebook, Google+, and email to thank customers for their business with relative frequency. Do not bombard customers with messages to force them to think about the company all the time. Monitor social media to keep tabs on what is said your company. Set up a wide range of Google Alerts to get your attention when any discussion of your company happens. Set up TweetDeck to search your Twitter activity. Make sure your social responses are integrated with your other channels so all departments are aware of social media forays. "Just as your brand is only as good as your weakest employee, customer service is only as good as your weakest channel of communication." page 157 At Autodesk we are well aware of this. Years ago after Shaan Hurley set up the first employee blog, Between The Lines, marketing set up the corporate blogging guidelines (blog post). Years later when Facebook and Twitter entered the picture, the guidelines were expanded to become our "Social Media Guidelines." We are a good, great, and important company. Good in that we are a good corporate citizen (e.g., We watch how much we travel. We pay attention to how much electricity our computers use.) Great in the return to our investors. Important in that the work that our customer do makes a difference in the world. That is our brand. Although social media is a powerful way to let everyone know that, one inappropriate post or snarky reply can undo all we are trying to accomplish. Autodesk was not included in the 20 Biggest Brand Fails of 2012, and let's also not be included in the 2013 list. Our brand influences how people think about imaging, designing, and creating a better world. 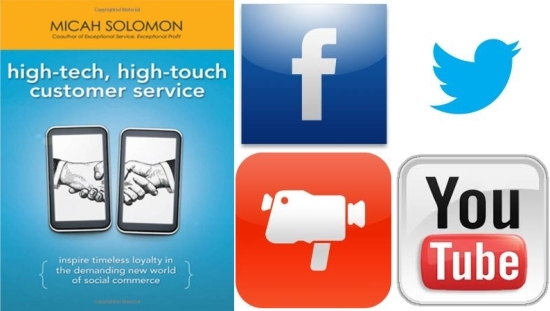 If you would like to sample high-tech, high-touch customer service for yourself, you can read two free chapters with this link. Rules of engagement are alive in the lab.